Icklesham Casuals had another mixed weekend with the 1st team winning once again but the 2nd XI suffering another defeat. The 1st team won 2-1 at home to Crowhurst in a league game, taking the lead in the opening period thanks to a stunning left foot volley from Asa Croucher, with Harry Blunden doubling the lead early in the second half. Crowhurst pulled a goal back in the last ten minutes to set up a tense finish. The three points means the side are now joint top of Division Two with Punnetts Town having played one more game, with the two teams meeting at Punnetts Town on Saturday. 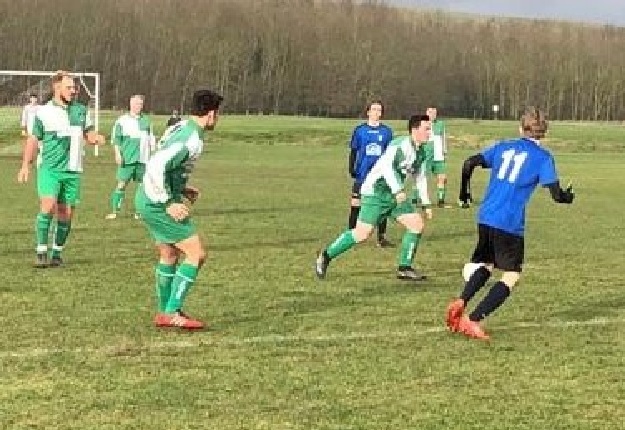 The 2nd XI took on Sedlescombe Rangers III in the quarter final of the Hastings Lower Divisions Cup and started as badly as they did the previous week and after a poor first half found themselves 2-0 down. When they finally started playing they reduced the deficit through an Adam Sully free-kick and then had the opportunity to level the tie after being awarded a penalty, but failed to convert the spot-kick and the match ended in a 2-1 defeat. This Saturday the 2nd team are at home to Cranbrook Town who lie second in Division Four. Previous articleWill road chaos hit visitors?